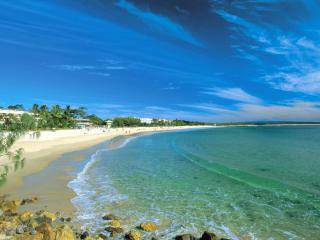 With a reputation as the gem of the Sunshine Coast, Noosa is located 130 km to Brisbane's north. Striking the perfect balance between charming costal town and luxury beachside holiday destination, Noosa offers spectacular beaches, high end shopping, fine dining and magnificent hinterland. Whether you want to shop til you drop, sample the local produce and relax on the beach or dive the crystal waters and explore the National Parks, Noosa offers something for everyone. 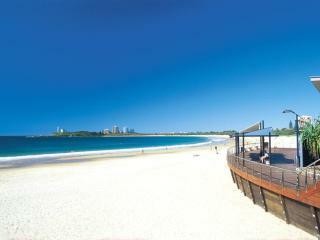 With a reputation as one of the Sunshine Coast's most popular tourist attractions for both international and local visitors, Maroochydore is home to 65 km of the best beaches in the world. 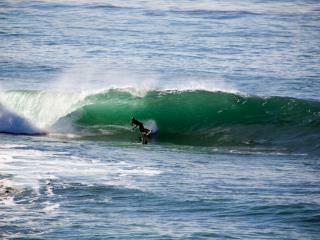 While surfing is one of the region's biggest drawcards, there are also local attractions, golden beaches, lush rainforests, flowing rivers and stunning views of the Blackall Range to enjoy. There is also a great range of boutique shopping and fine dining to round out Maroochydore as a diverse holiday destination of choice. Originally a quiet beachside town, Mooloolaba has risen to world-wide acclaim as a sun kissed holiday destination and natural paradise. From the tropical feel of its soft sand beaches to the cosy tranquillity of its hinterland, Mooloolaba strikes the perfect balance between style and sophistication and fun in the sun holiday. A cultural hub, the region offers boutique shopping, a calendar of events, a diverse food scene and entertaining array of local attractions. 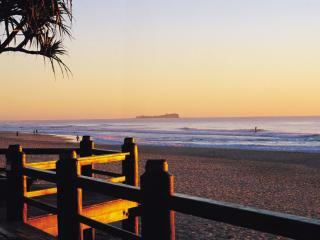 Just an hour from Brisbane, Caloundra is a glittering city of beaches and leisure. Home to a total of 6 beaches, this versatile beachside town is close to local attractions including Australia Zoo, Aussie World and The Big Kart Track. The clear waters are ideal for swimming and surfing and there are plenty of fishing hot spots however the hinterland is a quick and easy escape where you can tour the Blackall Range and sample the wineries along the way or shop up a storm in the boutiques. Coolum is the Sunshine Coast's largest town and enjoys spectacular beaches, a stunning natural environment, championship golf courses, chic dining precincts and a vivid cultural atmosphere. With a reputation as a lazy coastal holiday destination, Coolum also offers plenty of options for those up for a little more adventure. Visit Australia Zoo and Underwater World and learn about local wildlife, check out the Eumundi markets or lose yourself in the Montville and Maleny hinterland. Relax and unwind on the affectionately named 'Sunshine Strip' of Alexandra Headlands. Set midway between Maroochydore and Mooloolaba, Alex Heads is a family favourite as a quiet seaside town with a laid back vibe and some of the coasts best surfing. The patrolled beaches are ideal for swimming and the beautiful nearby parklands along the waterfront offer BBQ and picnic facilities. Lending itself perfectly to a fantastic range of water sports, Alexandra Headlands is also close to a number of local attractions. 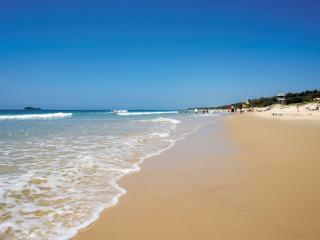 Just 30 minutes south of Noosa, Marcoola offers sweeping uncrowded beaches and spectacular weather year round. Centrally located to most of the Sunshine Coast's attractions and destinations, Marcoola is just minutes from Australia Zoo, underwater World, The Ginger Factory and more. The charming villages of Maleny and Montville in the Sunshine Coast hinterland are also close by and you really are spoilt for choice for all tastes and budgets with the diverse holiday experiences Marcoola offers. The Sunshine Coast is renowned as the gateway to Fraser Island and Moreton Island and offers day trips and extended stays departing from the coast. The largest and second largest sand islands in the world respectively, Fraser and Moreton Island offer stunning natural environments and plenty of leisure activities. Fraser Island is a favourite for 4WD treks and camping holidays, while Moreton Island offers spectacular protected National Park.